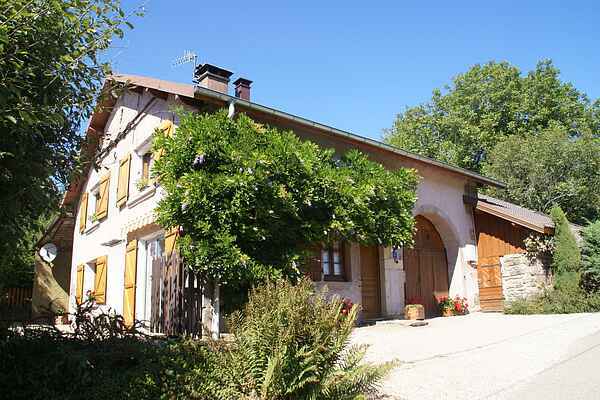 A wonderful peacefully situated holiday home around 3 km from La Chapelle-aux-Bois. Here you are in a spot with true natural beauty; ideal for enjoying lots of walking and cycling. You have a lovely seating area between flowers and plants on the edge of your own, enormous garden. The owner lives round the back (out of sight) in an adjoining property. During the summer months they are away most of the time. Enjoy a relaxing day in the spa at Bain-les-Bains (3 km) where you will also find a tennis court, restaurants, bakery and supermarket. Golf course near Epinal (23 km) and Vittel (47 km). Approximately 3 km away you will find a fishing lake at Les Voivres where you can throw out a line. For day trips go to the Centre de la Préhistoire in Darney (29 km) and to the charming little town of Mirecourt (42 km) with its Chapelle de la Oultre, Eglise de Notre Dame and the Pont de Stanislas. In Ville-sur-Illon (22 km) you can visit the ecomuseum and its brewery. You can please the children with a visit to the animal park near St. Valbert (32 km) or the recreation park \"La Ferme Aventure\" in La Chapelle -aux-Bois.